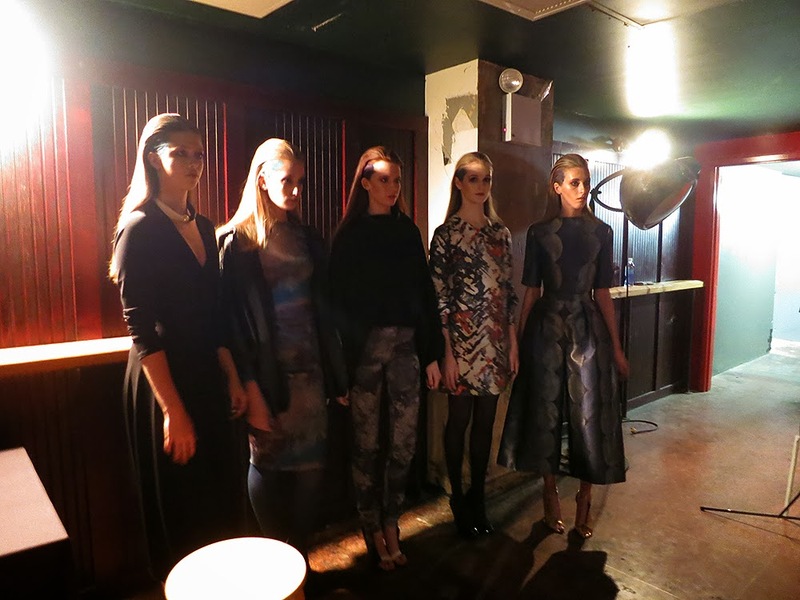 Page Parkes Model + Talent: CZAR Fashion Show Fall 2014! CZAR Fashion Show Fall 2014! 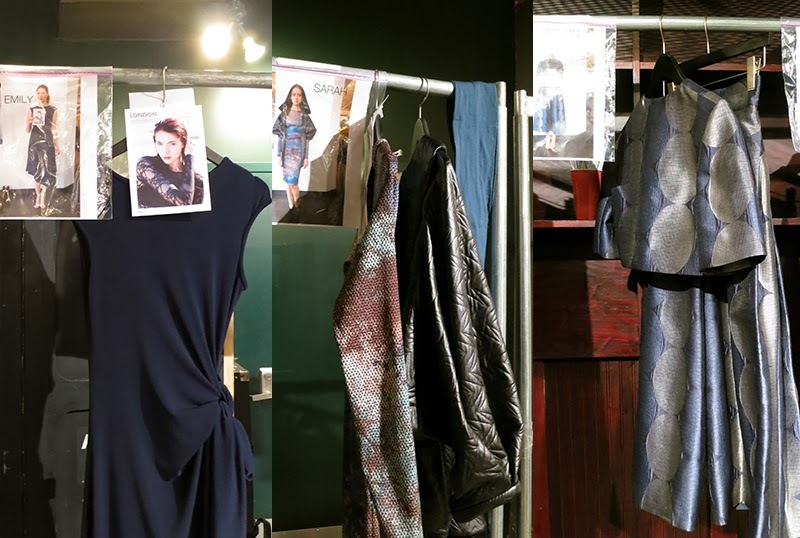 Words cannot describe how beautiful and ground breaking Cesar Galindo's CZAR Fall 2014 collection was yesterday at the HUB for Mercedes Benz Fashion Week! We hope y'all enjoyed live coverage of the show from our official Instagram (@pageparkescorp) as well as some of our models' accounts. Read more to see videos and photos of the presentation! Our models Kasey Cosgrove, Charlotte Stevens, Taylor Hilton, Marlee Menendez, Sarah Tierney, Taylor May, Shelby Bullard, Anna Robertson, and Emily Matheny with the man of the hour Cesar Galindo! 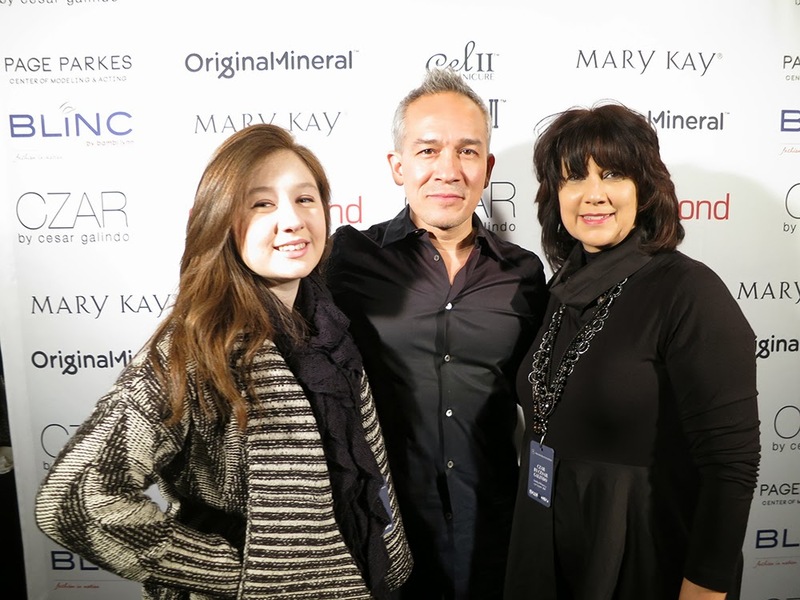 We would like to thank Cesar Galindo for this fabulous opportunity for our models!! Many thanks to the sponsors of the show: Mary Kay for providing make-up, Original Mineral for providing hair, Gel II & Polish II by La Palm Products for providing manicures, and Blinc by Bambi Lynn for backstage production management for the show with collaboration by the Cesar Galindo team led by Gregory Triana of Blue Cashew Production. This season Cesar kept his usual sleek lines and lady-like silhouettes, but packed in a dose of New York street style. Cool colors such as teal blues and purples were seen throughout the collection as well as painted into the models' sleeked back hair. We are loving the modern cuts of his shift dresses mixed with downtown, edgy pieces like textured hoodies and zippered leather crop tops. In addition, who else is dying for those structured culotte pants?! Dressers quickly getting Anna ready! 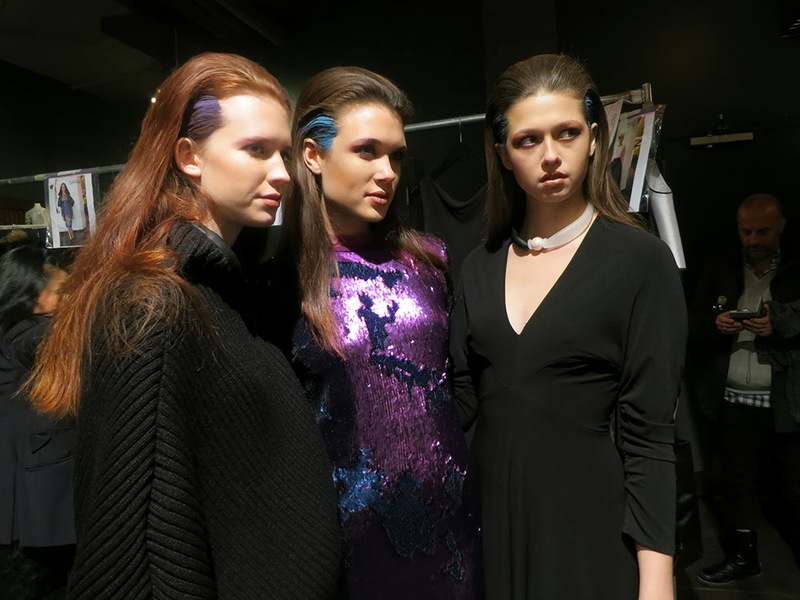 Models Charlotte Stevens, Shelby Bullard, and Marlee Menendez right before the show! We also wanted to take this opportunity to introduce everyone to our guest blogger Madison! She is Bambi Lynn's daughter and has personally gone behind the scenes to grab one-on-one interviews with the models. This was also her first New York Fashion Week show and we cannot wait to hear her thoughts about it. Stay tuned for her Mercedes Benz Fashion Week experience!! For the official MBFW video and photos of the CZAR show, please visit here!! !